Find all the information you need to make sure you’re race-day ready. If you have additional questions that are not covered below, please email info@laceuprunningseries.com and we will get back to you ASAP. See you in Ventura! *Race day packet pick-up will be available for a $20.00 fee. Beast Pacing will provide pacers for the following times. **Aid stations subject to change. If you’re excited about running, your kids will be too. 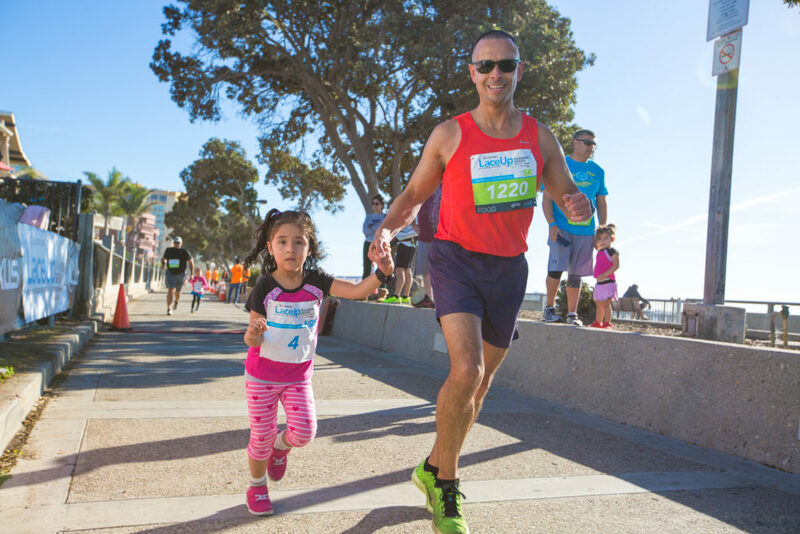 Help them learn about the joys of running by entering them into the Kids Races. Learn more about the Kids Races, HERE. Be sure to check out the Kids Zone in the Expo area featuring games, coloring books, hula hoops, and glitter tattoos! The Ventura Marathon weekend is more than just a great race! Join us this year for the Ventura Beach Party, a two-day beach festival that runs in conjunction with the Ventura Marathon, Half Marathon, 5K and Kids Races. We hope you head out to the beach and join the party. Ventura boasts the perfect location to relax by the beach, listen to some great music, do a little shopping, eat, drink and be merry. Join us by the pier for an unforgettable weekend. The party features a variety of attractions along the beach on the Ventura Promenade, just North of the Pier. *Waffle breakfast for runners included in your registration fee. Non-runners will be able to purchase a food truck brunch. Learn more about the Ventura Beach Party, HERE. Runners are recommended to park at the Ventura County Fairgrounds for a $5, cash only fee. 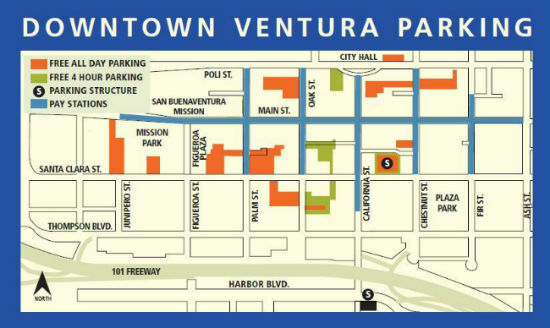 Additional parking is available in downtown Ventura at several different locations. Please use the map below to find a parking lot close to the Ventura Pier. There is a 6-hour time limit for the Marathon. If you plan to run a longer Marathon, please know that you can start early. However, please be aware that directional signs and aid stations may not be up in the beginning, as they are all based on a 6:00 AM start. Timing mats will not be live before the event, so if you start early please wear a GPS watch and let the timing company know the exact time you started (GPS watches use GPS satellites to establish a precise time of day just as the timing systems do) so they can establish your exact time. Spread your love of running! Invite your friends and family to run at Ventura with you. Give them your personal referral code (found in your confirmation email) and earn huge prizes! Learn more about the Referal Program, HERE. Running teams with 5+ members will receive Lexus LaceUp Ventura Marathon running socks. For all other frequently asked questions, including information regarding gear check, strollers, aid stations and results, please visit our FAQ page HERE. If you have additional questions that were not covered above, email info@laceuprunningseries.com and we will get back to you ASAP. See you in Ventura!